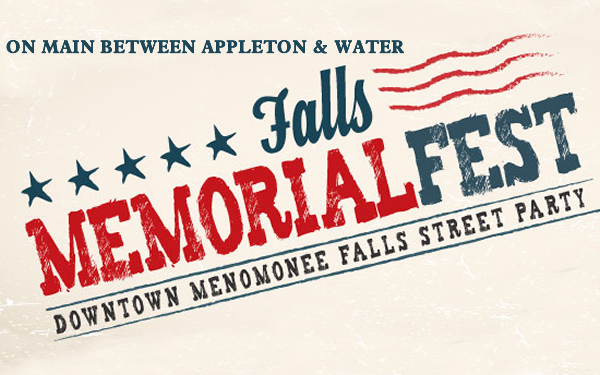 The Art Guild of Menomonee Falls been invited to participate in the festivities on Memorial Day (May 25) on Main Street in Menomonee Falls. This is an incredible opportunity for our membership, and we would like as many of you as possible to participate. Memorial Fest will be held on Saturday, May 25th from 11:00 a.m. to 10:00 p.m. The Guild been invited to coordinate an Art Fair between 11:00 a.m. to 5:00 p.m. within the area on the east side of the large falls and north of Main Street, including the gazebo where pictures are regularly taken. There is room for 23 10’x10′ tents. Power is accessible and there is street access for loading/unloading. For our members there will be NO charge, so please give this rare opportunity strong consideration, There will be over 5,000 people in attendance according to past event information. Please sign up to participate in this event at our Tuesday March 26th membership meeting or email President Don Eisenhauer directly at eisenhauers@youngrembrandts.com. We are hoping that this will become an annual event for our Guild membership.